We’ve had many delicious meals on the streets on our travels with authentic food quest. From bánh xèo and bun cha in Vietnam, mouthwatering meals on the streets of Bangkok, incredible noodle dishes like char koay teow in Penang, beef heart skewers in Peru, Balut (duck embryo) in the Philippines and much more. On the streets, we have found honest and delicious food that is available to all. 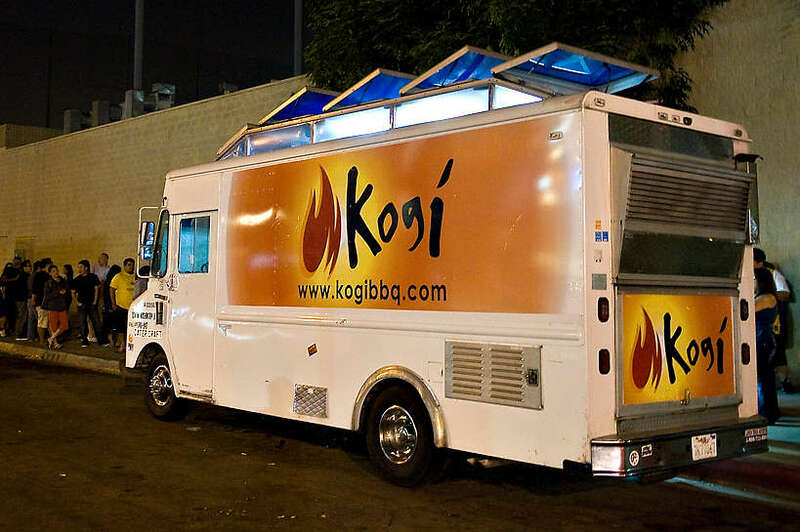 In the U.S., Los Angeles, California and the Kogi Truck have been called the birthplace of the modern food truck movement. In this mobile society with a rich immigrant taco truck culture, new wave chef and entrepreneurs have created some of the most delicious moveable feasts. 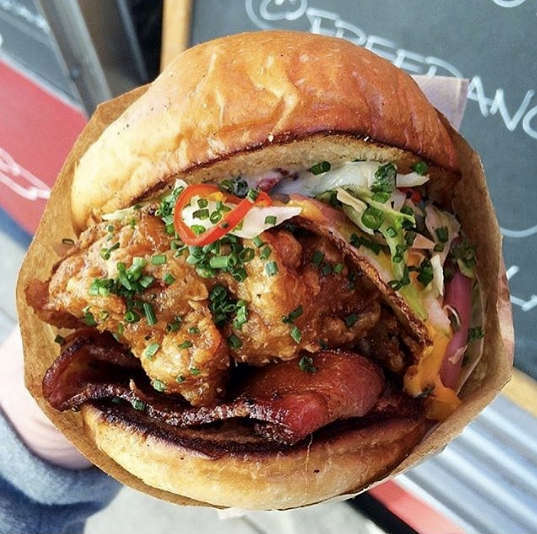 In collaboration with Los Angeles rental homes, we bring you the 12 hottest Los Angeles food trucks you want to be tracking down. Sometimes the best food arrives on wheels. In the sprawling city of Los Angeles, food trucks offer an excellent option for a quick bite or late night snack. 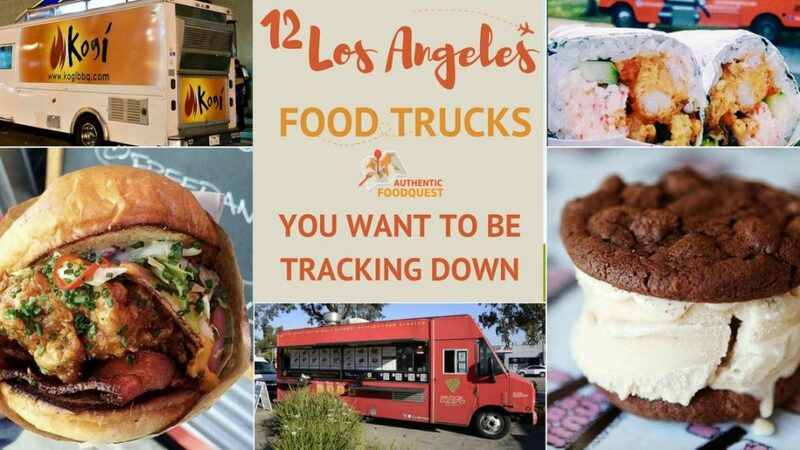 Los Angeles Food trucks have become the new incubators of culinary innovation, and each food truck has developed its own name and personality over time. Food trucks in Los Angeles are not new. For decades they’ve offered cheap eats along roadsides and at construction sites across southern California. The food and wheels driven culture in L.A seems to have found the right balance and intersection in those food trucks. 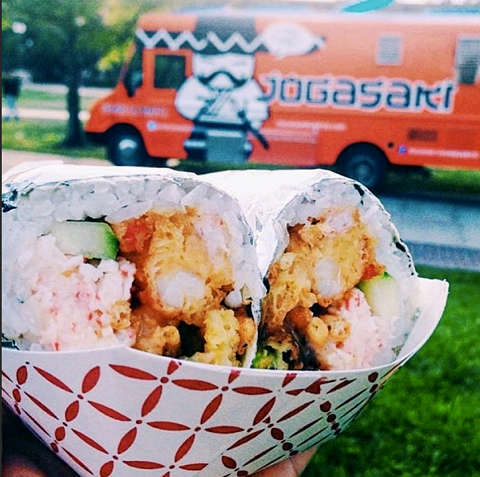 These food trucks attract people from all races, classes, and ethnicities and brings them together. It would not be incorrect to say that these food trucks are creating a social experience and new culinary fusions and creations. 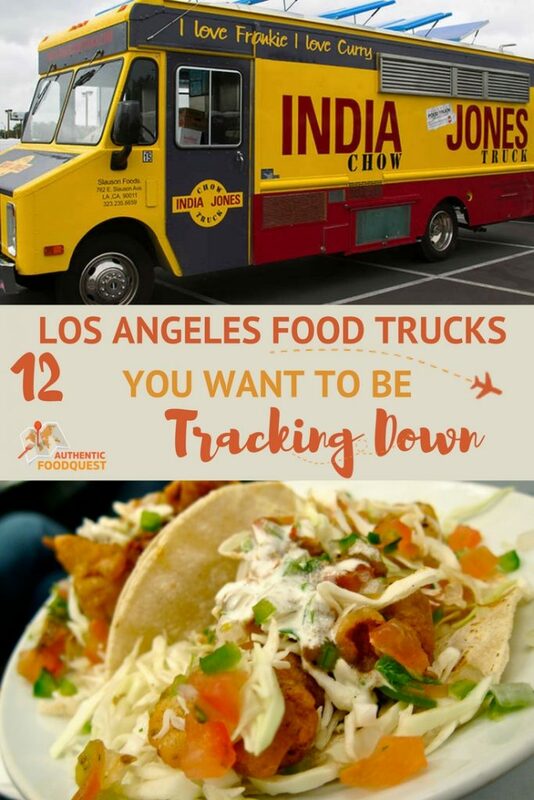 With so many Los Angeles food trucks to choose from, it can be difficult to name just a few. New concepts are opening up frequently and gaining in popularity. To help get you started, here are 12 moveable feasts worth tracking down in the City of Angels. 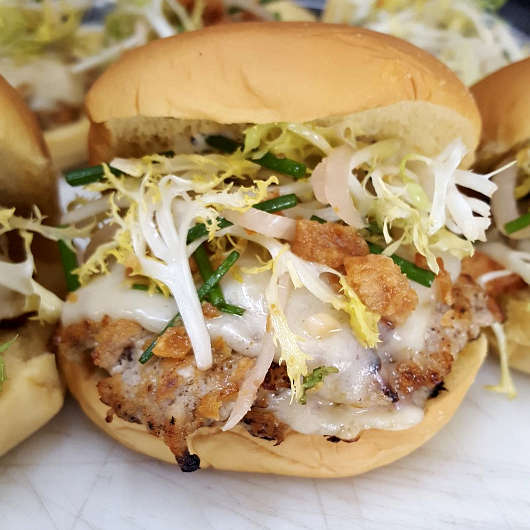 The grandaddy of the modern food truck movement since 2008, Roy Choi’s Kogi truck empire rules the streets and Twitter feeds. Serving a delectable mashup of Korean and Mexican flavors, that you can’t just resist. The signature short rib taco delivers big with double-caramelized Korean BBQ depth balanced with a bright spike of salsa roja, a chile-soy slaw, cilantro and onions on two grilled-and-charred house tortillas. Other favorites include Kogi Kimchi Quesadilla, Blackjack Quesadilla, and the Sweet Chili Chicken Quesadilla. The fans love chocolate Tres Leches Cake and Sriracha Bar. 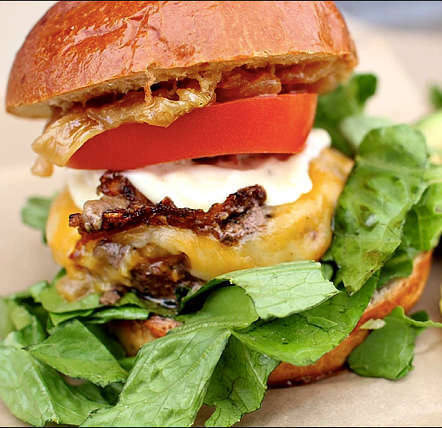 If you are hunting for American comfort food but with a twist, you will find it at the Lobos Truck. The food truck sells burgers and fries as well as Waffle fries with nacho toppings. The chefs use only organic produce and quality meats that help to build lots of flavor in every dish. Nothing could go wrong with that giant sushi roll wrapped in soy paper! Try their delectable sushi burritos that are easy to enjoy without chopsticks or go for their salmon ceviche nachos and spicy tuna nachos. Their salmon, cucumber, avocado and shrimp tempura is also very tasty. You will definitely have some fun with their unique sushi combinations, and all served up in a convenient on-the-go fashion. Peaches’ Truck tops the list of Los Angeles food trucks and barbecue trucks. Run by the Peaches Smokehouse and Southern Kitchen, the food truck serves classic Southern dishes and slow-smoked BBQ that are made from fresh and local ingredients. They use humanely raised meat for their BBQ and burgers. 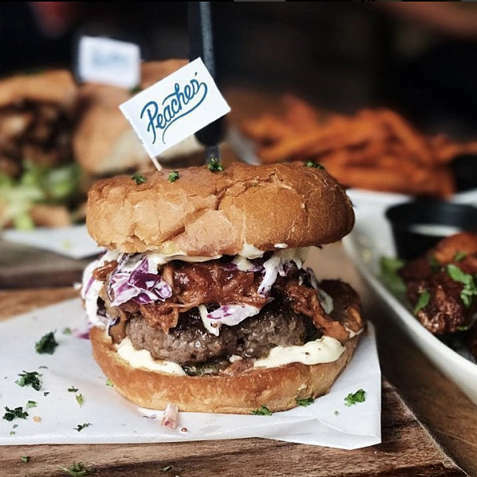 For a bite of Southern classic dishes without the wait, visit the recently opened Peaches’ location in Hollywood at 6541 Hollywood Blvd, Suite #102. The concept behind this food truck is rather interesting. The New York restaurant Eleven Madison Park has the innovative food truck NoMad running the streets of Los Angeles before opening their downtown Los Angeles restaurant. What’s unique about the concept is that it is a collaborative effort with a variety of local Los Angeles chefs. The menu includes the NoMad burger, a Humm dog, a fried fish sandwich, fries and a dessert called Milk & Honey. Go ahead and order after browsing the beautifully crafted and flavorful gourmet meal. 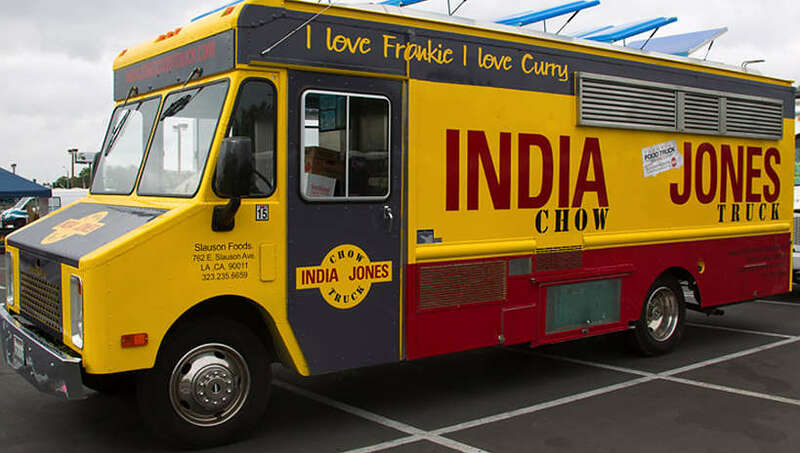 India Jones Chow Truck gourmet food trucks serve authentic Indian street food throughout Greater Los Angeles. The specialty is Indian street food, and the butter chicken is a standout. Made with tender chicken and clean flavors, this is one that makes following this food truck a must. Other local favorites are veggie samosas and “Frankie’s” which are an Indian Roti (flat bread), rolled up like a Burrito with chopped onions, tamarind, green chutney and either beef, lamb, shrimp, chicken or potatoes. Ricky Baja-style fish tacos are the stuff of legends. 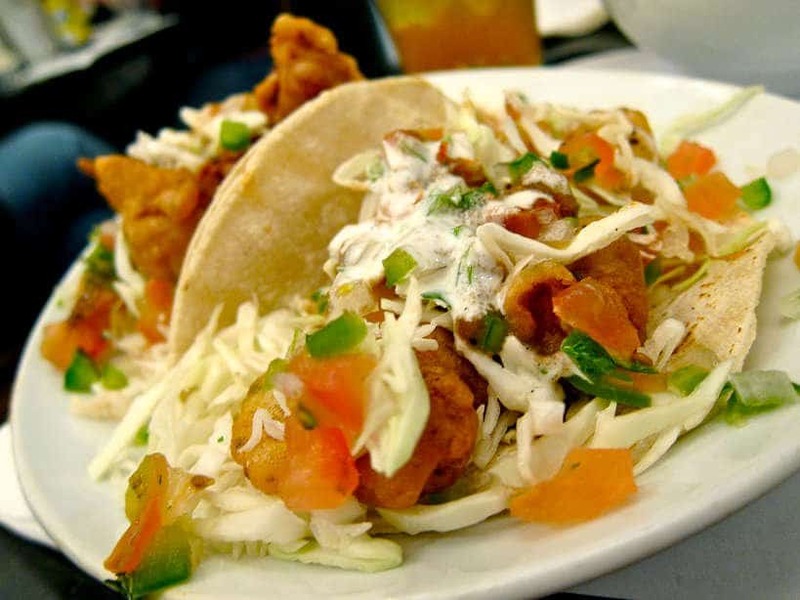 Ricky Pina is known to make some of the best fish tacos in Southern California. Using a top-secret batter, he coats delicate white fish (catfish) and cooks it perfectly to an ideal golden brown color. These delectable tacos are served Baja style with shredded cabbage and pico de gallo on top. 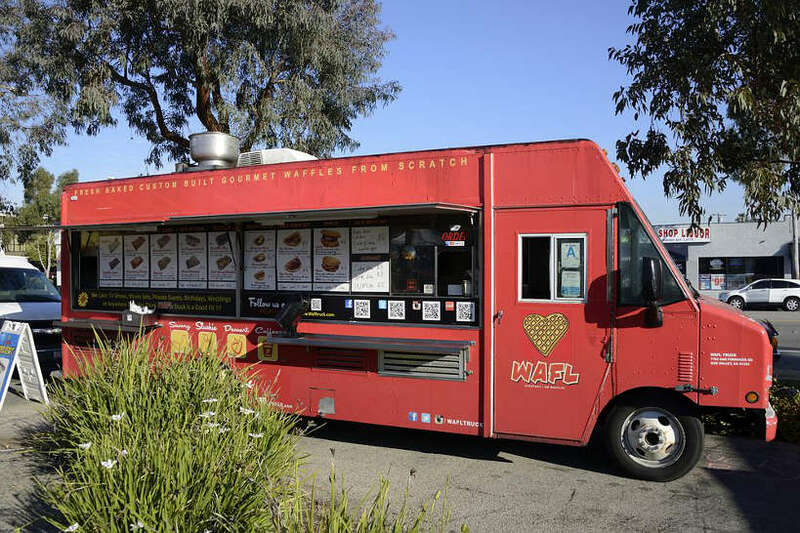 WAFL Truck is a crowd puller because of its wide variety of savory and sweet waffles. The delicious waffle truck serves the “The Classic” sweet Nutella waffle which is topped with fruits such as strawberries or bananas. Los Angeles ravenous locals love the sweet from the maple syrup and the savory from tasty bbq chicken or hot dogs. This combination of sweet, savory, crispy and crunchy make these waffles a sought out favorite. Choose from their selection of waffle sandwiches for either breakfast, lunch or dinner. Free Range food truck is well known for its Sunday brunches at the farmers market. These fried chicken sandwiches are simply gorgeously delicious. The food truck takes pride in serving fresh baked goods and a wide selection of delicious fried chicken. The Original Fried Chicken Sandwich is a classic with juicy and flavorful meat and perfectly crispy fried breading. Visit often as rotate their menu of weekly specials. 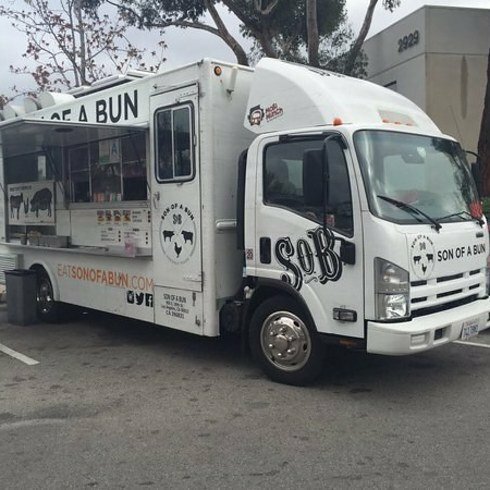 Established in 2013, Son of a Bun Truck pride themselves for using sustainable ingredients and the juiciest tomatoes, crispiest lettuce, and flavor you won’t find anywhere else. The Avoegg burger, with avocado and egg on top is simply delicious. For a spicy flavor, choose the Picante which comes with smoked bacon and jalapeños. For fresh, real food with locally sourced ingredients, Son of Bun makes for some seriously delicious eats. 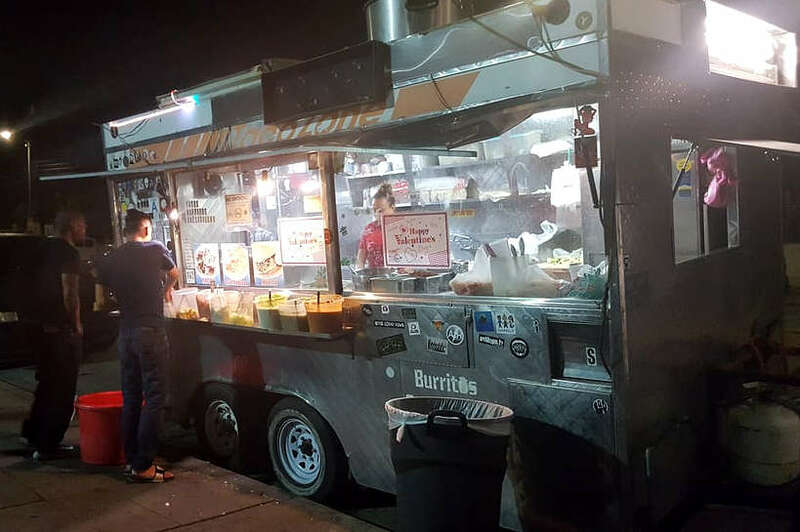 Taco Zone is one of Los Angeles most beloved late night taco trucks. It is popular for late-night favorites such carne asada, al pastor and pollo. Adventurous eaters will enjoy saudero (part of the cow between the belly and the leg), buche (pork stomach tacos) or tripas (beef tripe). Top off those steaming tacos with salsa rojo, which is lively and hot, or perfectly tangy and bright salsa verde.Taco Zone remains a favorite with the Mexican food lovers. 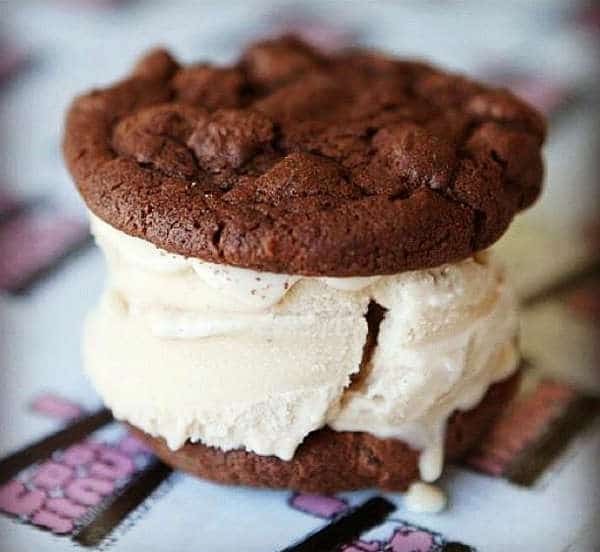 This is not just any ice cream, it is exceptional natural, handmade ice cream sandwiched between two flavored cookies. The ice cream sandwiches have a modern architecture theme. This innovative and food and architecture ice cream sandwich is in the form of a deconstructed house: a cookie roof and floor, and handmade ice cream for the walls. In addition to classic flavors, try their unique combinations such as Confetti Whoopie Pie, Maple Flapjack, Vegan Ginger Molasses and more You’ll also find an eclectic selection of ice cream flavors; like Black sesame, Avocado sea salt, Bulletproof and many other crazy-tasty flavors. What about you? 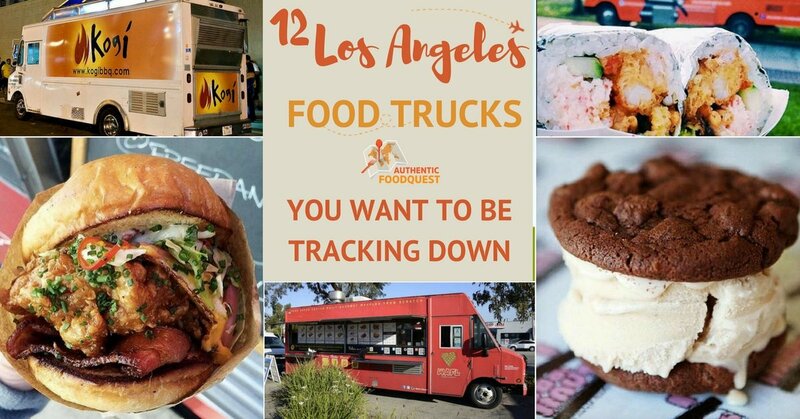 Do you have any favorite Los Angeles food trucks to add to the list? Hi Hope, that’s a tough one. Most food trucks keep their sauces “secret.” Unfortunately, we can’t help with that particular chili. Cheers.